Apply generously to freshly cleansed skin. Can be used alone or on top of other treatment serums to leave your skin feeling creamy smooth. Fresh goat’s milk, aloe, honey, Shea butter, soybean oil, palm oil, and caprylic glyceride. 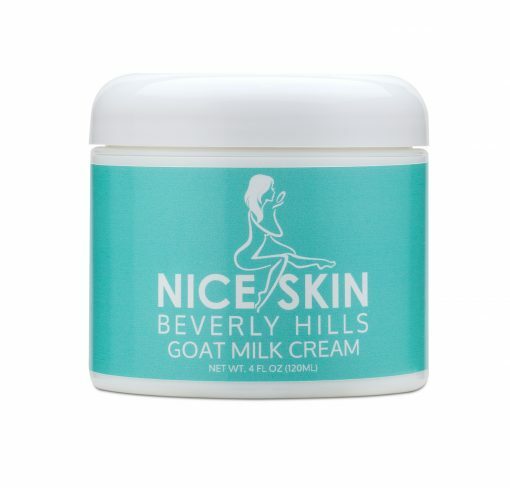 Designed exclusively by and for Nice Skin Beverly Hills, with the perfect combination of goat’s milk, aloe, honey, Shea butter, palm oil, and soybean oil, Nice Skin Beverly Hills Goat Milk Cream is ideal for all skin types, and conditions. 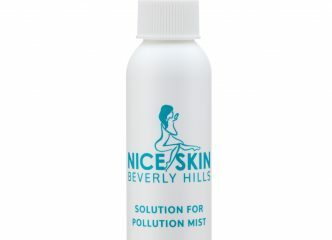 Its regular use promotes healthier, more youthful looking skin, and can greatly reduce irritation and inflammation caused by acne, eczema, and psoriasis. Goat’s Milk is a natural, mineral-rich emollient, with 27 vitamins, including A, B6, B12, and E, that soothe and moisturize the skin. Additionally, its lactic acid balances the skin’s pH levels, resulting in natural exfoliation of dead skin cells, to keep your skin vibrant and glowing. Aloe contains the phyto-hormones Auxin and Gibberellin, which repair cells and thereby aid in healing wounds and acne. Honey is a natural anti-bacterial, and provides powerful, antioxidant therapy for the skin. Shea Butter, which has excellent water-binding properties, and absorbs quickly into the skin, has been used as a moisturizer, medicinal ointment, and lotion since the days of Cleopatra’s Egypt. Palm Oil and Soybean Oil are very effective for treating sun-damaged skin, and contain proteins and anti-oxidants that protect the skin from free radicals. Proving the sum is even better than its amazing parts, creamy, light, velvety, organic, Nice Skin Beverly Hills Goat Milk Cream is fashioned in small, high-quality batches, with the utmost care and integrity. This primary, all-purpose, moisturizing cream of Angela’s Way is truly, skin love in a jar! Liposome Correcting Fluid | Challenges Your Skin to Correct Itself by PH Balancing. See Dramatic Improvements within 48 hours!